How To Gain Your Leadership Edge with Leadership HQ Founder. Sonia McDonald, CEO & Founder of LeadershipHQ; is an Entrepreneur, Thought Leader, Dynamic Keynote Speaker, Leadership Coach and Author. Sonia McDonald was recently named in the Top 250 Influential Women across the Globe. She is Australia’s Leading Leadership Executive Coach. She has over 25 years’ human resource management, leadership and organisational development experience. She has held senior leadership roles in organisational development, learning and development, human resources and talent management fields across the Globe. 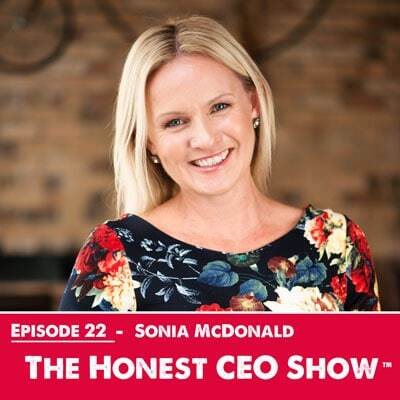 Sonia is passionate about cutting edge research and consulting in her industry as well as innovative tools and strategies around Leadership, Organisational Development, Neuroscience and Diversity. Sonia’s expertise in organisational development, learning & development, facilitating, and leadership development makes her an excellent leader to partner with organisations and CEOs to ensure the full potential of their business is achieved through its people. She is about RESULTS! She is also the Author of the Neuroscience of Leadership Kindle Book on Amazon and her new book Leadership Attitude. Sonia's magazine Leadership HQ featured Simon Sinek. Sonia talks about the magazine and what it was like to interview Simon. Sonia talks about her new book, Leadership Attitude: How mindset and attitude can change your world. Sonia shares the 5 key traits of leadership attitude – some of which included stepping up, self-belief and don’t accept the status quo. Women are under-represented in leadership roles: holding just 16.3 percent of CEO and 37.4 percent of all manager roles. “42.6 percent of those appointed to managerial positions last year were women. So even though only 37.4 percent of executives are currently women, we can expect that figure to trend up as more women rise through the ranks. Your boss today is still much more likely to be a man, but the data shows we are moving toward gender equality among managers. Caroline asks Sonia about her top 3 tips for women wanting to move towards executive and c-suite roles. Sonia shares her top 3 tips for women in regards to putting themselves forward. Caroline shares her thoughts on how she firmly believes that to be a great leader, a servant leader, self-awareness is critical. Caroline has witnessed so many leaders that lack self-awareness, and it holds their business back. They are in fact holding their business back. She asks Sonia to share her thoughts and advice for leaders about being more self-aware. Sonia was about to launch her Women Platinum Program, and she tells us all about it. Sonia raised her daughter pretty much on your own, and she shares her tips and advice for Mums who are trying to balance a career and raising a family? What was your biggest take away or ah-ha moment from this episode?